Drew Estate has teamed up with Orlando cigar retailer Jeff Borysiewicz of Corona Cigar Co. to create a new cigar line that contains Florida-grown tobacco in its blend. Called Florida Sun Grown, the cigar was created by Willy Herrera, master blender at Drew Estate, known for his Herrera Esteli and Norteño cigar lines. "It was a unique challenge working with the Florida Sun Grown tobacco," Herrera stated. "It was something completely new to me, and it took me numerous blends to figure out how to incorporate it into a blend I really loved." Florida Sun Grown is rolled with a Brazilian wrapper, a Habano-seed binder from Honduras, and fillers from both Nicaragua and Florida. The cigar will launch in four regular-production sizes: Robusto, measuring 5 inches by 54 ring gauge ($11.50); Toro, 6 by 52 ($13); Belicoso, 6 1/2 by 54 ($14); and Sixty, 6 by 60 ($15). A fifth, limited-edition vitola will also launch in a separate blend. That cigar, known as the Limited Edition Trunk-Pressed Toro, measures 6 inches by 54 ring ($15) and wears a Connecticut Broadleaf wrapper, Mexican binder and contains Florida Sun Grown filler tobacco, with additional fillers from Nicaragua and Honduras. The limited-edition Toro incorporates both Criollo '98 and Corojo '99 Florida grown tobaccos. The regular-production sizes contain just Florida-grown Corojo. "[Our] first test crop was in 2013, and we planted five acres of Corojo '99 and Criollo '98," Borysiewicz said. 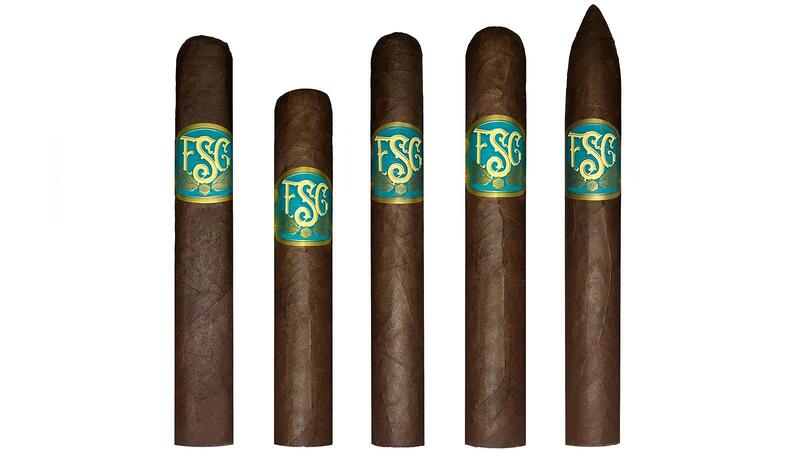 "That was a very small crop, and that tobacco is used only in the Florida Sun Grown Limited-Edition Toro. In 2014, we planted 10 acres of Corojo '99 and that tobacco is used in the blend of the other four sizes of Florida Sun Grown." In both blends, the Florida-grown leaves hail from the Florida Sun Grown LLC farm, owned by Borysiewicz, which sits just outside Orlando, Florida. The Florida leaves were shipped to La Gran Fabrica Drew Estate in Nicaragua where they underwent fermentation and were eventually rolled into cigars. Florida Sun Grown will launch in June and will be available exclusively through Corona Cigar Co., which owns and operates a number of cigar shops and lounges throughout central Florida, including a massive 5,000-square-foot Davidoff of Geneva branded location—hailed as the largest Davidoff cigar bar in the world.